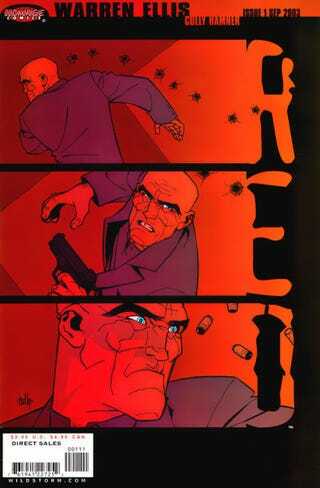 Bruce Willis reveals that the movie of Warren Ellis' ultra-violent Red is "a romantic comedy"
When the first trailer for Red came out, we noted that the film version of Red is a very different animal from Ellis and Cully Hammer's original comic. And the panel, if anything, hit that home, featuring a second trailer starring Bruce Willis as ex-CIA agent Frank Moses, Helen Mirren, Morgan Freeman, and John Malkovich as his misfit team of former operatives, and Mary-Louise Parker as the girlfriend who gets caught up in his spy life. The first trailer for Warren Ellis&apos; Red looks...odd. My role was to stay out of the way. I told the writers, "I'm here if you need me, but I want to see what you do with it." I don't think much about the movie. That way leads madness or Mark Millar. We did kind of an economical 66 page graphic novel and it's been expanded for audiences. I think the core of the comic is there. Frank is a really really wonderful character. We took that character and brought him into a larger venue.... There's a great sense of fun, but there's a gravity to it. There's great action and great comedy. You're going to have fun. I keep hearing people talk about this film as if it's an action film, but I think it's a romantic comedy.